Are You in Need of Roof Repair Services for Your Residence in the Cincinnati, OH, Area? Advantage Roofing & Home Exteriors offers expert roof repair services to homeowners in Cincinnati and nearby areas of Ohio. If your roof is leaking, has missing shingles, or has been damaged by the elements, have no fear. Our skilled experts will handle the job for you, ensuring that you have the most stress-free experience possible. And, if your roof has incurred damage due to a storm, we can visit your home and assess your roof before you file a claim with your insurance company. We are highly experienced with wind and storm damage restoration projects and would be happy to help you with the complicated process. At Advantage Roofing, we understand that getting a new roof installed can be costly and time intensive and is typically not something a homeowner looks forward to. In some cases, roofs don’t require complete replacements, but rather quicker and more affordable roof repairs, a service that many roofing companies simply don’t offer. This is why we are pleased to provide efficient roof repairs from our dedicated roof repair specialists, who are vastly knowledgeable with this service. The high-quality products we offer, professional roof repair services we complete, and commitment we place on customer satisfaction are some of the reasons why we have become the area’s most trusted, reliable, and recommended roofing company. We’ve proudly maintained an A+ rating with the Better Business Bureau for many years. 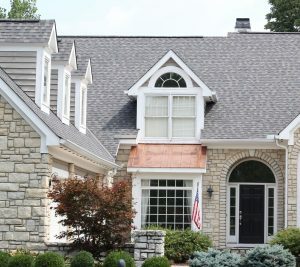 If you are in need of a roof repair and want to work with the company that continually raises the bar for its customers in the Cincinnati, OH, area, contact Advantage Roofing & Home Exteriors today to schedule a complimentary consultation. And when you call, don’t forget to inquire about the excellent financing opportunities we have available for qualified candidates.